History is best written by someone who was there when it happened. Unlike many of the early pioneers of those turbulent times, WG Manners was asked to write it all down. 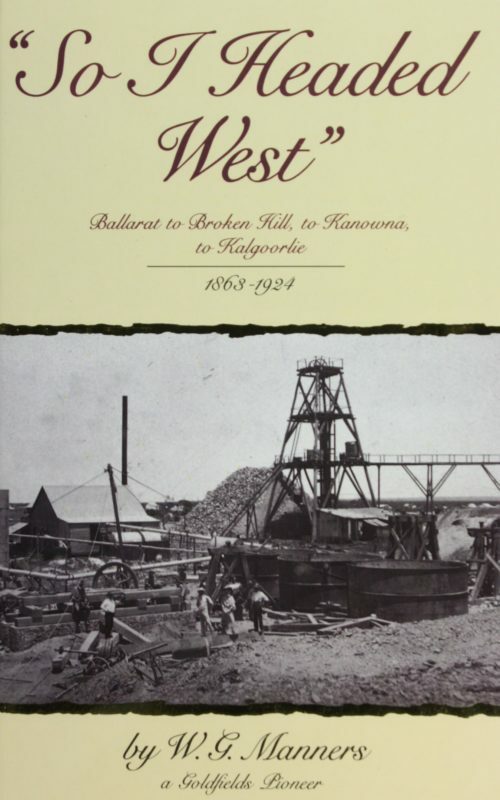 The result is a personal visit to the humble beginnings of mining in Australia, and a tour through the emergence of important mining centres at Ballarat, Broken Hill, Kanowna and Kalgoorlie. Originally intended for family circulation, now, almost 70 years later, So I Headed West warrants a far wider reading.